Alumni and friends have raised over $40 million – on the way to a goal of $50 million – to enhance the Eastern experience. 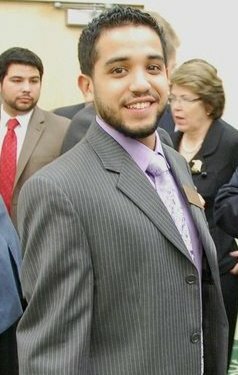 Like Antonio, make a difference in the lives of students and give back to the University that gave you so much. To learn how to donate to INVEST. INSPIRE. The campaign for Eastern Michigan University visit our website. 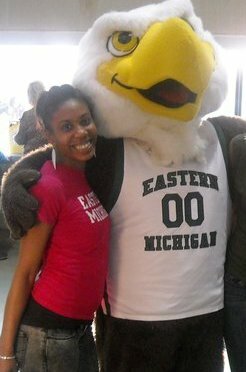 Alumni and future alumni can support Eastern Michigan University by contributing to INVEST. INSPIRE. 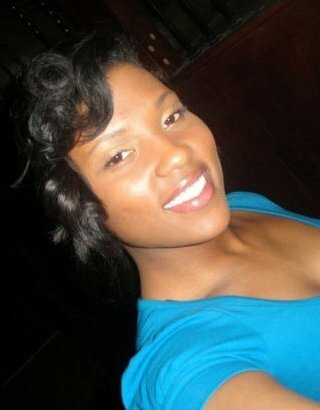 The campaign for Eastern Michigan University. Walk across the stage as more than a graduate… be a donor. For alumni, remember your days fondly and display an Alumni Spirit Tassel keepsake in recognition of your campaign gift. More information about giving through the Alumni Spirit Tassel program can be found on our website. 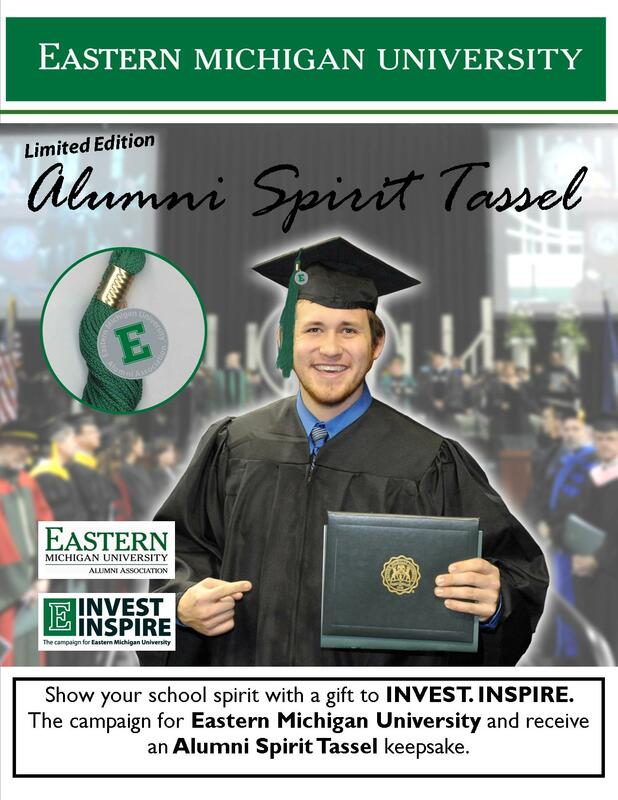 Representatives from the Office for Alumni Relations will also be available in the EMU Student Center on April 4 & April 5 from 10:30am – 5:30pm – so you can give your gift and receive your tassel.